1. Out with everything that doesn't fit anymore, no matter if it's too large or too small and no matter if you're currently on a diet or not. 2. Out with everything that doesn't make you feel comfortable even though it may be your size. You're not gonna wear or you're not gonna feel good about it, so why keep it? 3. Out with everything that you haven't worn the last 12 months, be it just something you keep to one day wear at home, in bed or at the gym. 4. 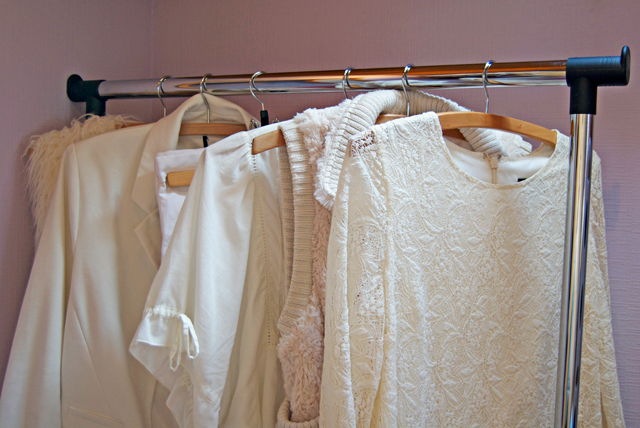 Store your clothes seasonally and put everything away that you won't be wearing for the next 6 months. A neat closet is first and foremost a closet with enough space. 5. Organise your clothes by colours. Like this your closet looks tidier and you'll immediately find the piece you're looking for. 6. Buy matching hangers so all clothes hang at the same height. 7. Display your prettiest clothes on a rack which saves you space in your closet and doubles as a nice decoration. 8. Store smaller bags inside larger bags, like this your large bags don't bulge and your small bags don't get dusty (and you save space of course). 9. Store your shoes in matching boxes. It may take a little more space, but it will look cleaner. If you're worried of not finding back the shoes your looking for, put a picture of every pair on the belonging box. 10. When shopping, follow the one in, one out rule. For every new piece you buy, you've gotta get rid of one that's already in your closet. 13. Clear out your closet every three months. Like this you'll see what your closet is missing and you'll be sure to maintain a neat closet all year round. 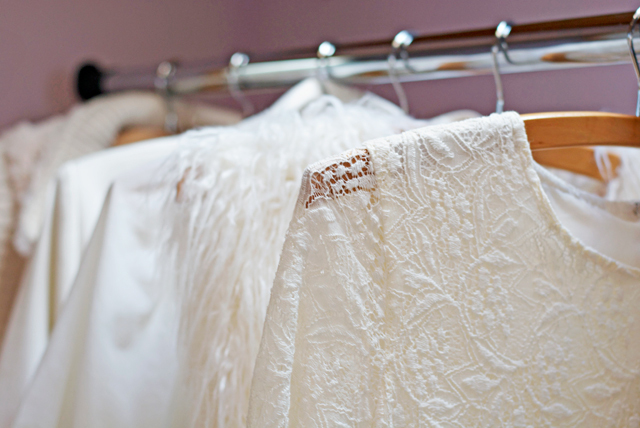 Feel free to add your best closet advice to this list! Thanks for the advice. I "clean" my wardrobe every new season, but it is difficult … as you say: "there might come the day …"